Note: This series has a mature rating. Please read at your own discretion. That was my first thought after I figured out the premise of this series. For those who are unfamiliar with Suicide Squad, it revolves around a group of criminals who are sent to a dangerous place to accomplish a seemingly impossible task that could probably get them killed. 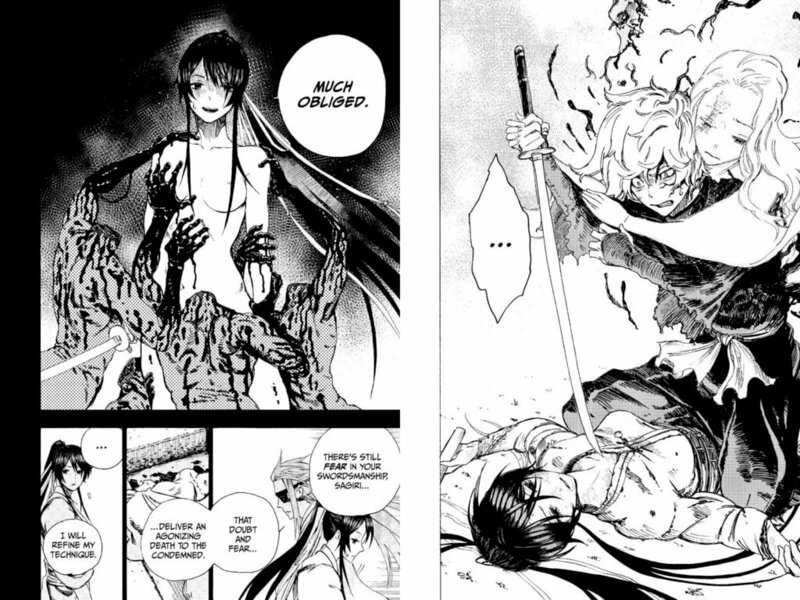 At the tip of the iceberg, Hell’s Paradise: Jigokuraku is strikingly similar. Take the plunge, however, and you’ll find yourself dragged into this mysterious and dangerous version of feudal Japan. Gabimaru is not your ordinary ninja. Believe it! The story takes place during the reign of the 11th shogun of the Tokugawa Period, placing it sometime between 1773 and 1841. It begins with our main character, Gabimaru the ex-ninja, sitting very bored on death row because he simply isn’t dying. While surviving numerous medieval execution methods, all described in excruciating detail, he ends up being questioned by a female record keeper about his origins and life. She reveals herself to be Sagiri, an Asaemon executioner and sword-tester from the Yamada clan, who is there to finally put him to rest. After Gabimaru realizes that he doesn’t want to die, out of a desire to live a normal life with his wife, Sagiri reveals the shogun’s offer: travel to the Pure Land and bring back the Elixir of Life to receive an official pardon. It is revealed that many death row criminals were gathered before the shogun with the same offer. They’re forced to demonstrate their skills as the shogun orders them to thin their numbers, leaving only the strongest and most infamous ones standing. Upon arriving at the island, everyone quickly discovers that things are definitely not as easy as they initially thought, with even the plant life and insects capable of killing them. The author does an excellent job in building a shroud of mystery into the story, as the main characters traverse the island and are pitted against not only the other criminals, but also the mysterious residents of the island. The story so far in the first volume has a solid premise, but it still remains to be seen if future chapters can maintain strong storytelling without devolving into a stereotypical battle shounen series. All the characters that make it to the island have unique designs and are well-defined, even in the early stages of the story. They are supposed to be immoral criminals and hardened warriors, yet they still feel surprisingly human, even if they are standard shounen manga characters. Gabimaru has the epithet “the Hollow,” but he avoids unnecessary killing and is shown to truly care for his wife. Sagiri has her own insecurities about her sword skills and ability to carry out her duties, as she constantly tries to break the gender roles of her clan. 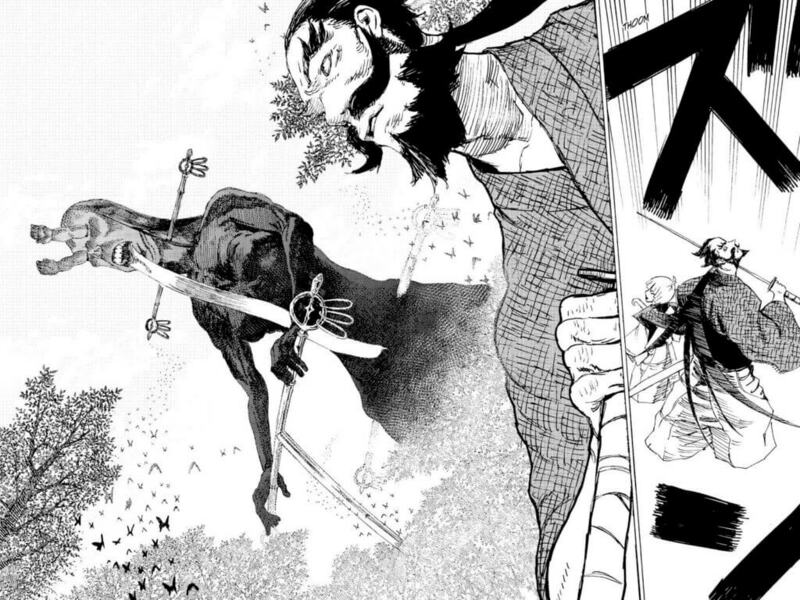 The backstories covered are brief but full of depth and don’t drag on like in other shounen series; they opt to focus instead on the present and the battles that lie ahead. One possible concern is how the author will handle character development after introducing a large cast. It would be a waste to introduce such unique characters if they are simply killed off while exploring the island, or juggling such a large cast leaves little room to develop their backstories and motivations while the story progresses. These hardened warriors are still only human and do have feelings! The best way I can describe the art style of this series is “hauntingly beautiful.” There’s incredible detail put into the characters and backgrounds on nearly every page that keeps you reading in anticipation. The panels with metaphorical artwork are used to intensify the narration and character insecurities, like Sagiri’s doubts about her skills. The battles are fast-paced and graphic, demonstrating the supernatural capabilities of the characters, as well as the lethality of the monsters inhabiting the Pure Land. The deities of the island are mysterious and creepy, with the designs taken from the concepts and imagery of Eastern religion and philosophy. 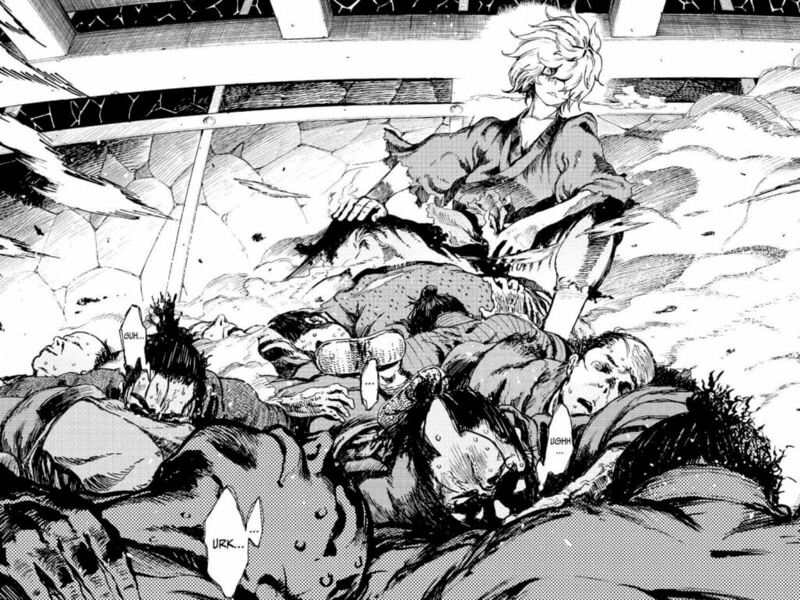 Hell’s Paradise: Jigokuraku by Yuji Kaku is a relatively new series that covers a fairly standard premise in Volume 1, with a historical and supernatural twist. Even though the pacing of chapters feels like it cuts off at weird spots toward the end, the story is always progressing, as characters battle their way through this hellish paradise. I recommend this series for anyone who enjoys historical shounen manga with fast-paced battles and an air of mystery. A special thanks goes out to Caleb Cook, the official translator for the series, for allowing me to reference his Reader’s Companion notes for the series and include an additional layer of detail in my review. Begin your journey through Hell’s Paradise, which is updated weekly in Viz’s Shonen Jump free section.